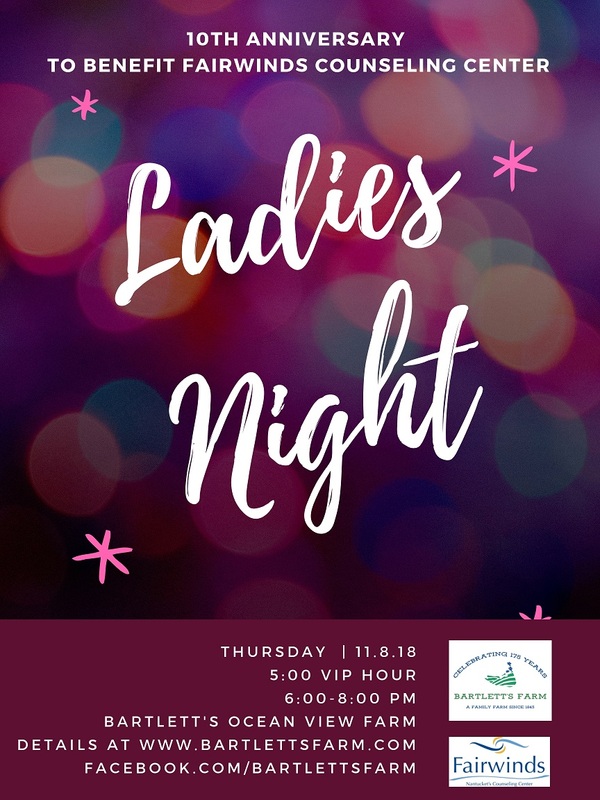 Join us for our 10th Anniversary of Ladies Night! Each year, the funds that we raise go to local charities. We’ve been fortunate to pair up with A Safe Place, Nantucket Food Pantry, Palliative Care, and Nantucket Housing Authority. Our hope is to make this special anniversary year our brightest and best yet! Includes early entry to vendors, signature cocktails, chance to win a fabulous door prize, a gift bag, passed hors d’oeurves & access to our silent auction with options to “buy it now” first. $50 donation ticket. Space limited, buy your tickets now!